Prices include delivery, plates, cutlery, table cloths, and napkins. 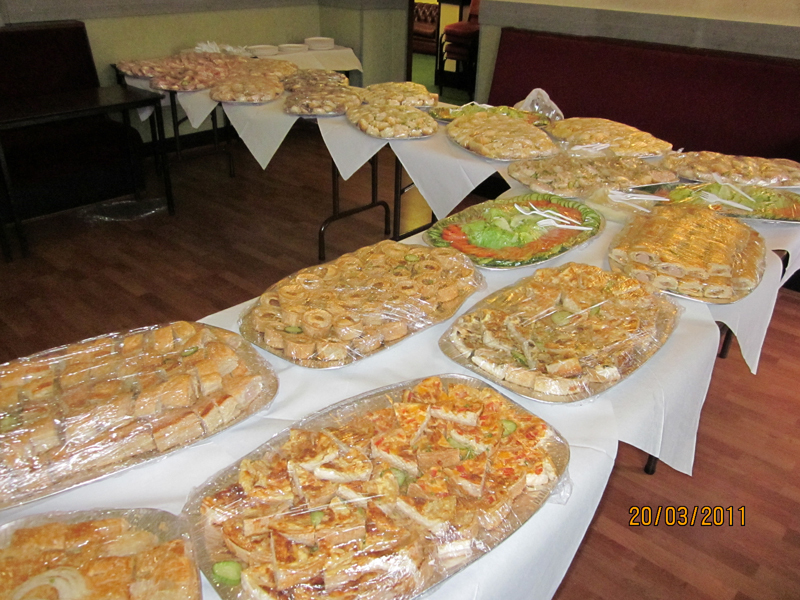 Short notice buffets are welcome. Please contact us for the latest prices. Price includes plates, napkins, knives, forks, spoons, tubs of mayonnaise, salad cream and coleslaw. Table clothes provided if required. 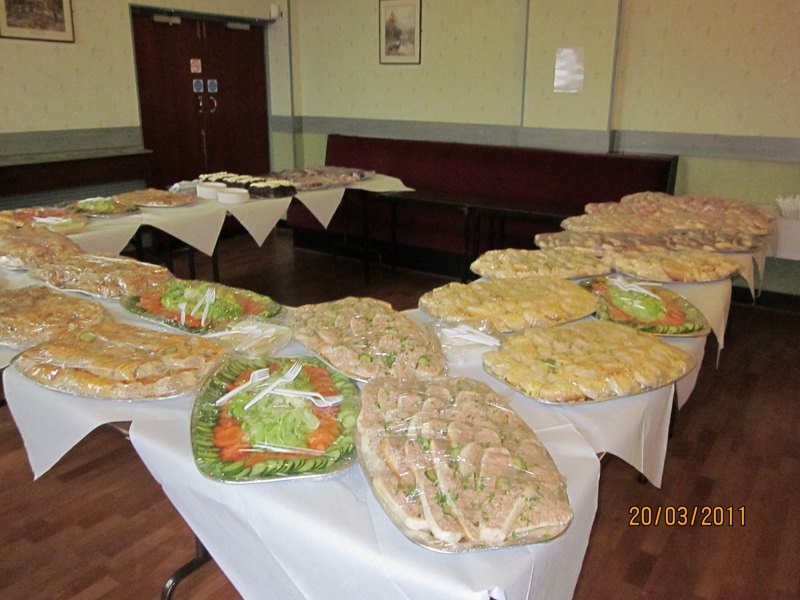 This service includes the delivery of the food and setting out the tables. Our home made savouries - Our delicious homemade savouries made with cheese and any filling of your choice, wrapped in puff pastry, ham, tomatoes, onion, mushrrom and mixed peppers.